A paragon of performance, reliability and functionality beneath the sea, the Superocean II 36 is made for the adventurous woman. 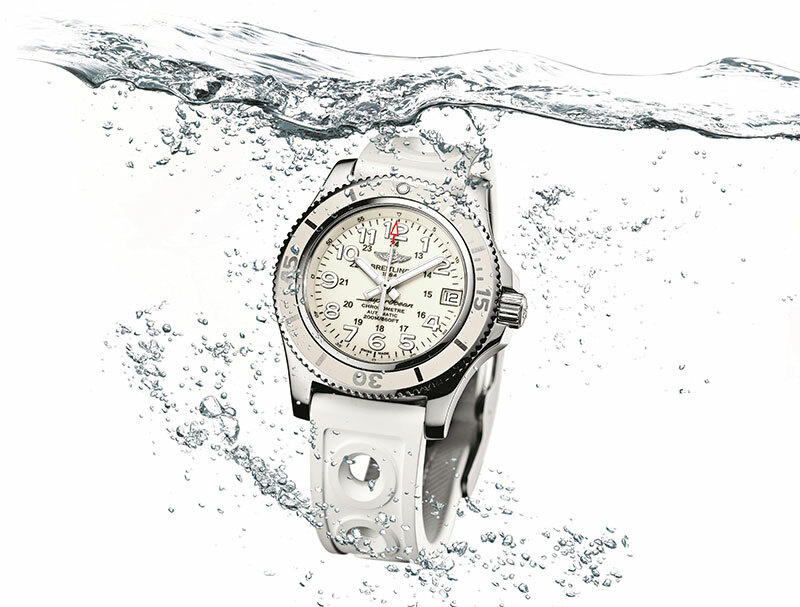 Not only does the ultra-sturdy polished steel case with screw-locked crown ensure perfect water-resistance till a depth of 200 metres, but the rubber-moulded unidirectional fluted rotating bezel also displays large clearly visible numerals and a countdown to the last 15 minutes of dive time. Dedicated to Italy’s most famous and closely followed classic car race — la corsa più bella del mondo — the Mille Miglia GTS collection comprises a three-hand chronometer with date display, a chronograph and a power-reserve model — and is designed as wrist-worn auxiliary navigation instruments. 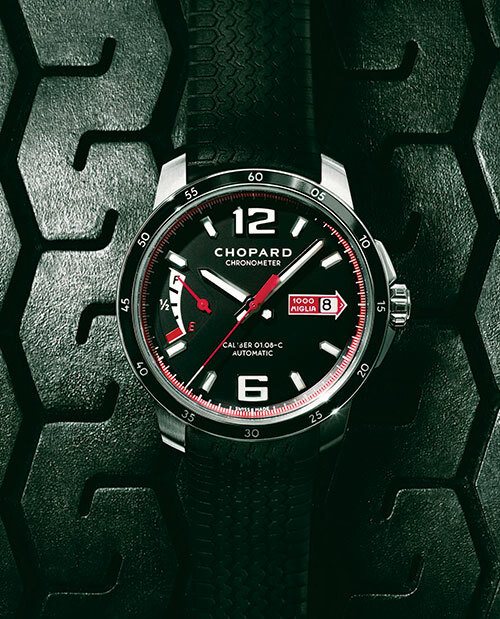 The dials are black with red and white accents, a tribute to the aesthetic of vintage car dashboards, and the bezels feature a graduated black aluminium insert accentuating the sporty nature of the collection. The Master Compressor Extreme LAB 2 combines sophisticated ergonomics with precision and steadfastness, with a movement housed in a sturdy case made of a light and resistant TiVan15 titanium alloy. The black high-tech ultra-scratch-resistant ceramic bezel offers superior protection, as does the sapphire crystal on the caseback. 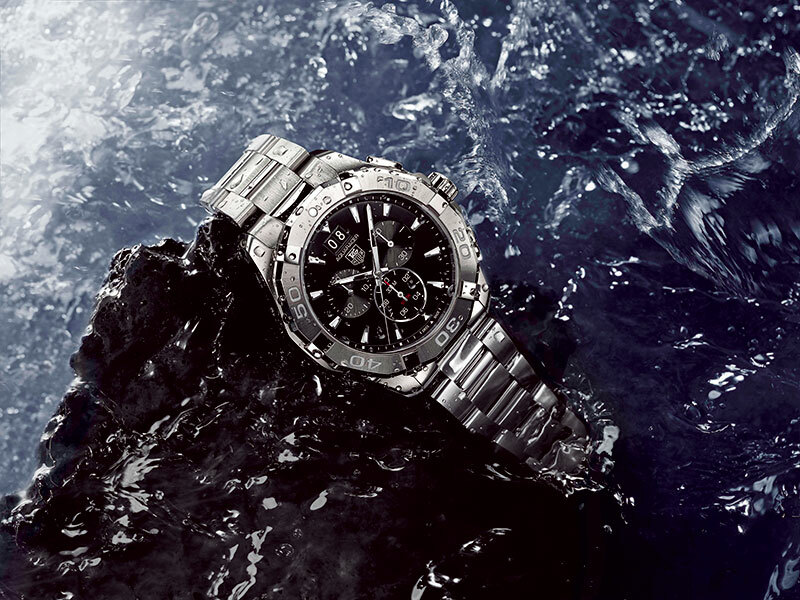 What’s more, the barrel of the timepiece guarantees a constant supply of energy for 60 hours. The new Aquaracer 300M collection, named after its 300-metre dive capacity, embodies the line’s superior performance while enhancing its sporty allure. Each watch in this series is a great seafarer and diving instrument crafted to meet the extreme requirements of professional water sports, with a unidirectional rotating bezel with six studs for perfect grip, a screw-in crown, scratch-proof ceramic dial and luminescent markers. Combining an Elite 682 calibre movement with a second time zone, small second hand and date display by manufacturer Zenith, the Chiffre Rouge C05 possesses all the advantages of a classic timepiece while embodying a daring spirit. The 38-mm model automatic chronograph movement boasts a 50-hour power reserve with about 28,800 vibrations per hour, in addition to complications that are a subtle alliance of technological proficiency and sophisticated bravura. 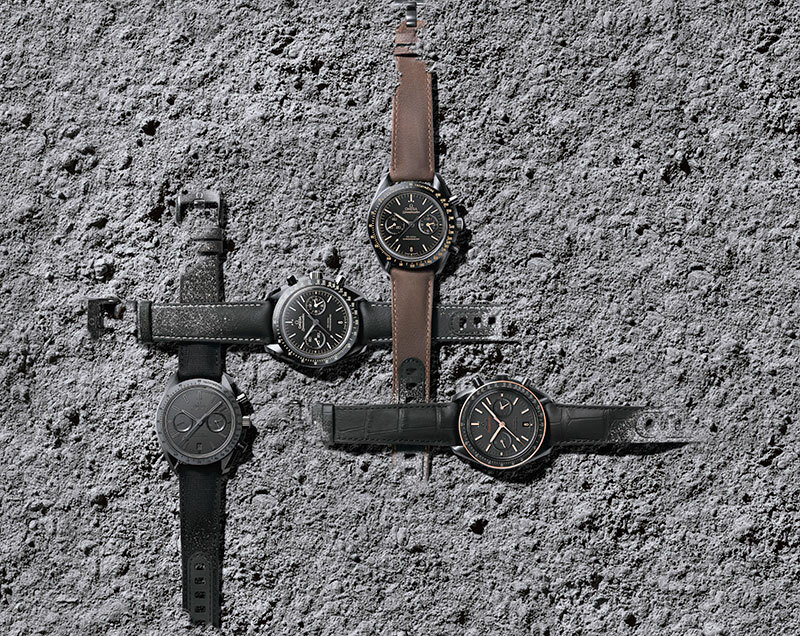 Inspired by the accomplishments of the Apollo 8 astronauts, the Omega Speedmaster Moonwatch ‘Dark Side of the Moon’ — powered by the OMEGA Co-Axial calibre 9300 — derives its name from its black zirconium oxide ceramic dial and matching black ceramic case. The black ceramic caseback ring of each model features matte chromium nitride, while the hands and hour markers are fashioned in 18-carat white gold, with the hour markers being filled with Super-LumiNova. The official watch partner of the Audi Sport teams, racing in both the FIA World Endurance Championship (WEC) and the German Touring Car Championship (DTM), presents the Audi Sport Limited Edition II, dedicated to the groundbreaking Audi R18 e-tron quattro. 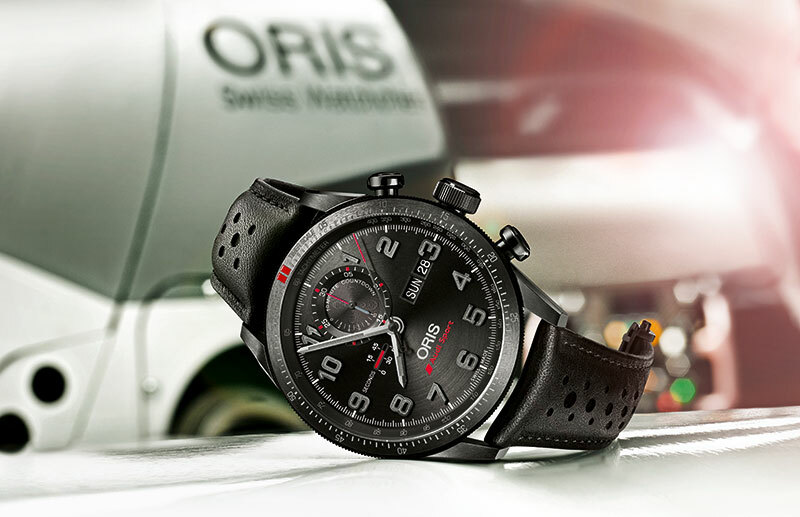 Engineered to be as light and as strong as possible, the watch is powered by Oris Calibre 778, which features a 10-minute countdown, and takes its design cues from the dashboard instruments of modern race cars. 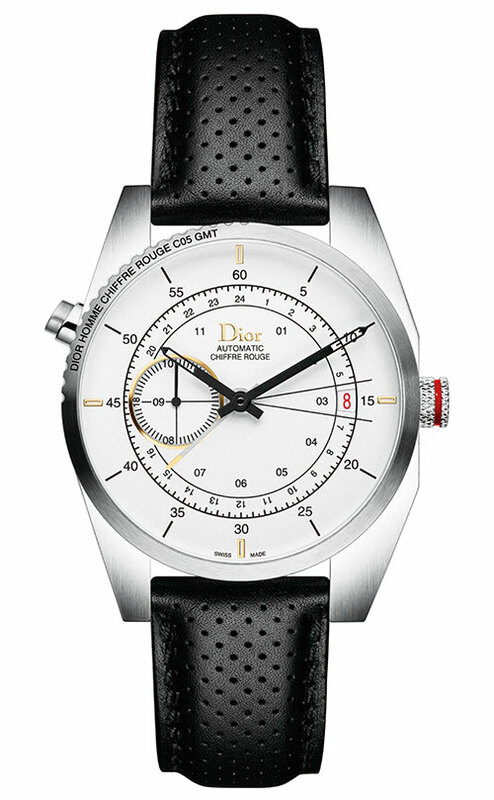 The brand introduced its first Polo timepiece in 1979. With its matte case and the polished gadroons, the watch was an eye-catcher. 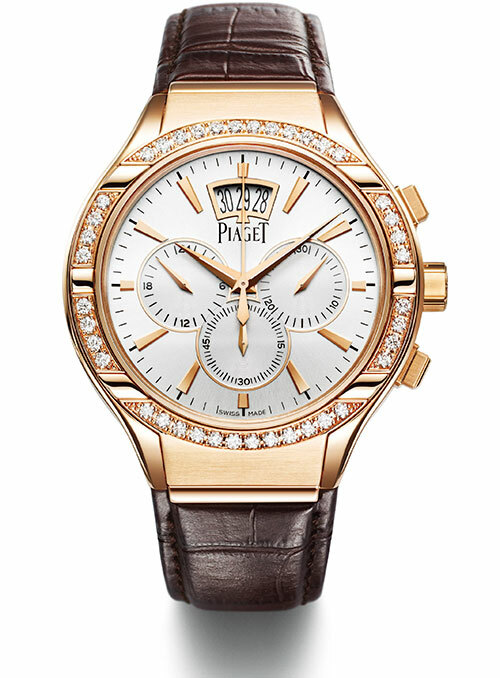 And, although polo might be considered a sport best played without a watch, the Piaget Polo Chronographe would be up to the task. Drawing inspiration from the Polo FortyFive line, its improved design features an expert level of finishing and a mechanical movement designed, developed and produced entirely at the Manufacture de haute horlogerie Piaget. As FC Bayern Munich’s official timekeeper since 2012, the brand presents the Big Bang Unico Bi-Retrograde Fc Bayern München, designed with the game of football in mind. 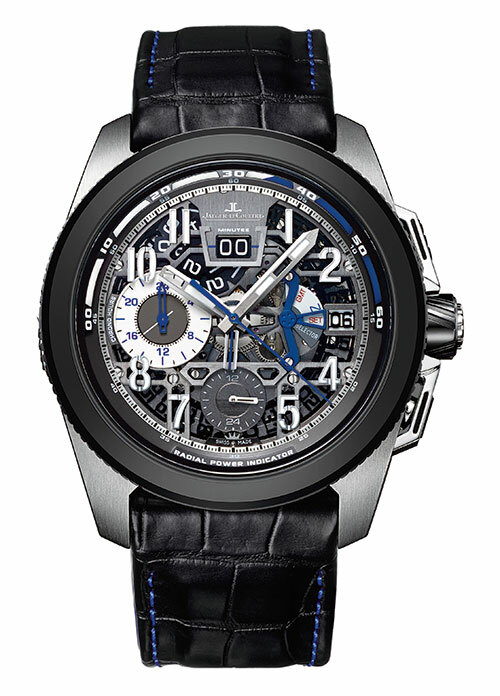 Equipped with a bi-retrograde mechanical chronograph movement, it is fitted with a brand-new patented mechanical interface that is able to time a football match. The HUB1261 movement is visible through a sapphire caseback that has the club’s emblem; the case is fitted with a ‘one click’ interchangeable strap system in red alligator leather sewn onto rubber and overstitched with blue seams. The latest Aquatimer Automatic 2000 is a serious piece of equipment intended for amateur and professional divers alike. The origin of this timepiece goes way back to 1982, to a watch designed by Ferdinand A Porsche for mine clearance divers. 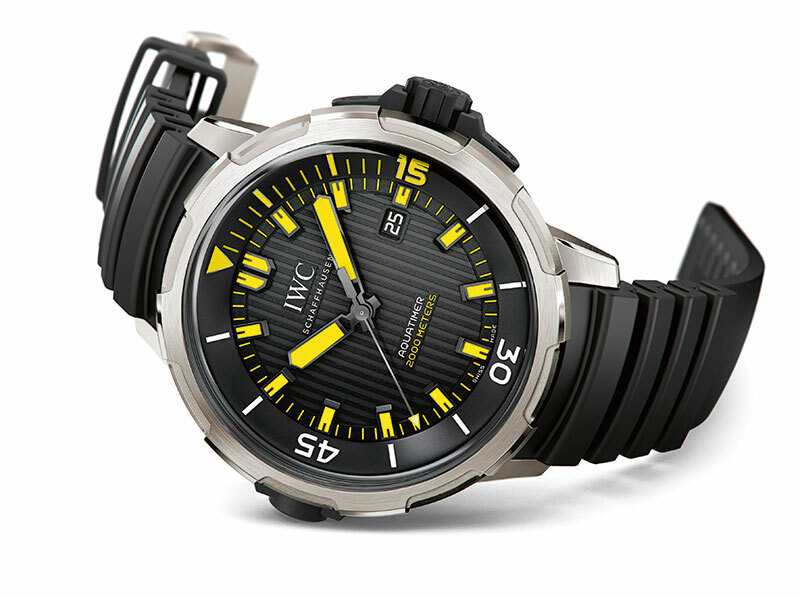 Water-resistant to 2,000 metres, the model now comes with yellow hands and numerals against a black dial, a mechanical rotating bezel, the SafeDive system and luminescent elements. 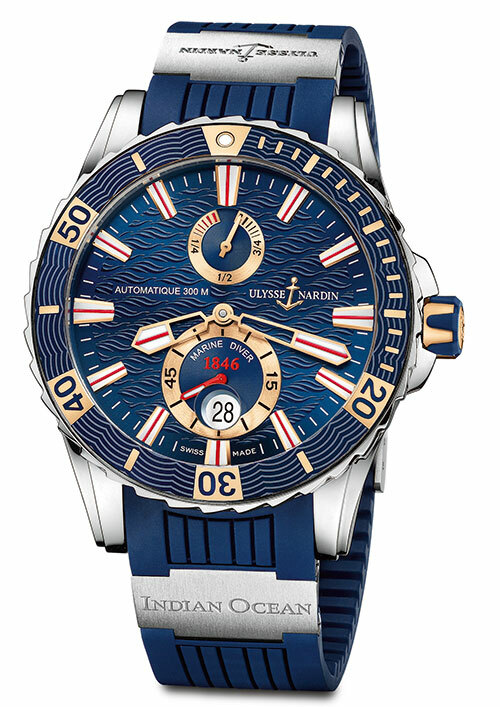 Reflecting the watchmaker’s rich nautical history, the Marine Diver Indian Ocean Limited Edition pays tribute to the world’s third-largest ocean. 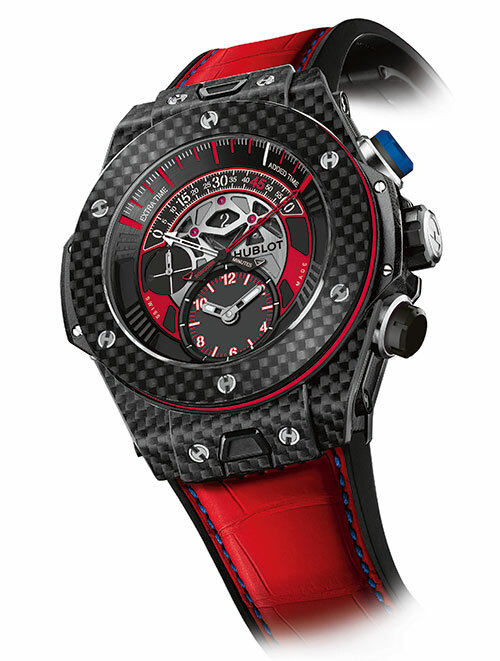 The exclusive timepiece is driven by the self-winding calibre UN-26 with a power reserve of 42 hours. It evokes the marine world with subtle accents like a wave motif on the striking blue dial and the brand’s anchor emblem proudly displayed at 2 o’clock. Drawing from a rich history of tradition and expertise, the respected watchmaker delivers brilliantly with the Calatrava Pilot Travel Time. 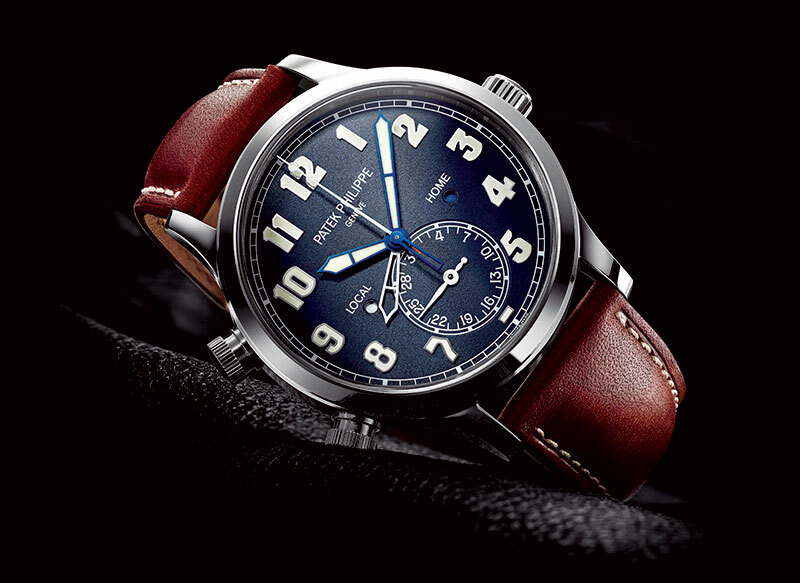 Based on old Patek Philippe hour-angle watches that helped pilots calculate their position when used in tandem with a sextant and a radio, the watch features a cool jumping-hour dual-time complication and a trick pusher design. The dial comes in a rich blue hue and the strap is vintage brown calfskin with contrasting stitching. 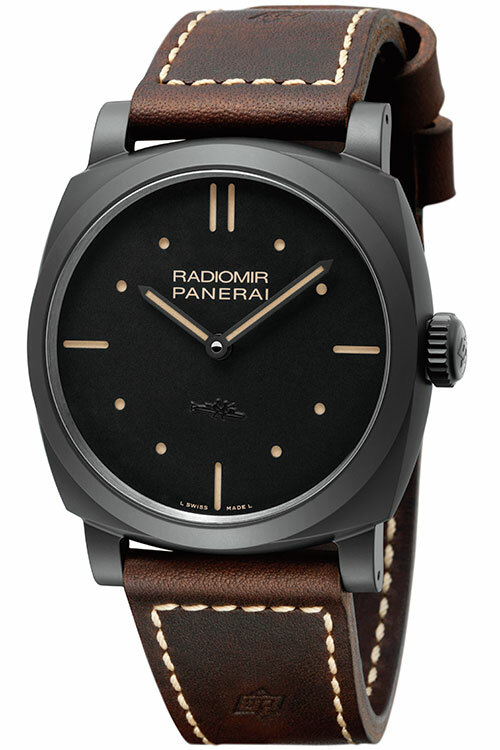 The details of the new Radiomir 1940 3 Days evoke the watches once made for the commandos of the Royal Italian Navy, while the matte black ceramic and minimalist design give it a contemporary technological appearance. Like the caseback, the buckle is made of titanium, for its non-allergenic properties, with a DLC (diamond-like carbon) coating which matches the colour of the case. Football superstar David Beckham looks sharper than ever, sporting a tasteful Rolex Deep-Sea Sea-Dweller timepiece. Stana Katic or, as we best know her, Kate Beckett from the TV series Castle, with her Radiomir Panerai Black Seal watch.